The development of an infant, from conception to the postnatal period, involves the dynamic coordination of numerous biological factors in the mother, father, and fetus. The use of rapid and sensitive methods to probe these factors has made a remarkable impact on reproductive and neonatal medicine. 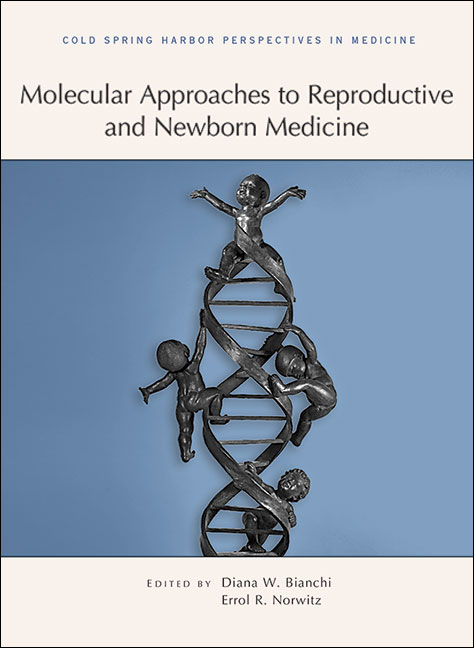 Written and edited by experts in the field, this collection from Cold Spring Harbor Perspectives in Medicine reviews our current understanding of the molecular mechanisms involved in conception, pregnancy, placental development, labor, and birth, and how molecular techniques are being applied to reproductive and newborn health. The contributors discuss the gene expression profiles and epigenetic characteristics of sperm, the ovary, the endometrium, and the placenta, as well as the molecules involved in feto-maternal communication, including various endocrine, vascular, and immune factors. They also consider how we can harness this knowledge to improve fertility, conception rates, and embryo implantation success, and reduce pregnancy complications such as recurrent loss, preterm birth, and preeclampsia, thus leading to healthy, full-term pregnancies. The authors also review innovative technologies to screen for and diagnose genetic disorders in fetuses and neonates and the social and ethical dilemmas these pose. The volume is therefore an indispensable reference for all scientists and physicians interested in deepening our understanding of human reproductive biology and translating that knowledge to improve the care of pregnant women and their newborns.